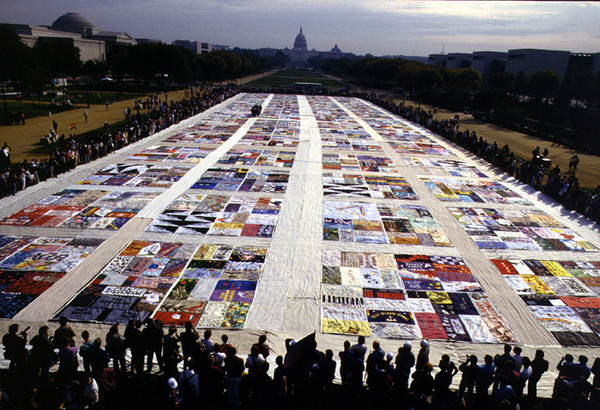 “AIDS Quilt displayed on the National Mall,” Histories of the National Mall, accessed April 23, 2019, http://mallhistory.org/items/show/182. 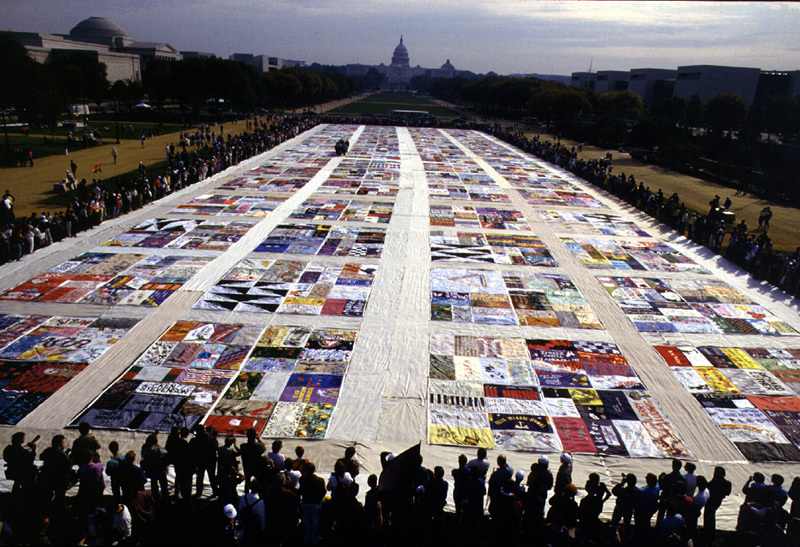 The first display of the Project NAMES Aids Memorial Quilt was on the National Mall on October 11, 1987, during the National March on Washington for Lesbian and Gay Rights. Composed of nearly 2,000 panels, the Quilt was larger than a football field. Cleve Jones, a gay rights activist from San Francisco, conceived the Quilt in 1985 during a candlelight march in memory of Harvey Milk and George Moscone. Panels were, and still are, created by family and friends of those who have died of AIDS. In the first weekend over half a million people visited the Quilt while volunteers stood at a microphone and read the names of people remembered on the panels. This has become a tradition followed at nearly every display of the Quilt.